Blog of Lege Artis Skin Care Inc - skin care and laser center in downtown Toronto. "I go to a really amazing facialist at Lege Artis. I use all of her skincare products and I swear by it... She has transformed my skin..."
​Also please note that our office will be closed for a vacation From Friday, Jan 27th to Monday, Jan 13th. We will return to our regular hours on Tuesday, February 14th. Stanford University studies: Imagine taking a photo ten years from now and looking better than you do today! Recent studies, performed at Stanford University has shown that Broadband Light (BBL) not only improves the visible signs of aging and sun damage, but also works on cellular level, returning the skin cells to genetically youthful state. A study published in the Journal of Investigative Dermatology shows that Sciton BroadBand Light (BBL™) treatments can alter the expression of genes associated with the aging process. These genes more closely resemble those of young skin. BBL treatments promote the appearance of youthful skin, which may be due to the differences observed in gene expression patterns of aged skin becoming more like young skin. Nose redness and dilated thread veins (capillaries). Results after one BBL session. Area just around the sides of the nose is very prone to developing redness and small veins (capillaries). To address them we usually use Candela V-beam laser designed specifically for treating skin redness and vascular problems. We are constantly looking for the ways to achieve the best results. Recently we tested Sciton BroadBand (BBL) on nose redness and dilated vessels (marked with black arrows on the photo below). The second picture was taken 2 days after one BBL session. Results before and after one BBL session. Note reduction in appearance of skin redness and dilated capillaries on the sides of the nose (marked with arrows). Photos (c) Lege Artis Skin Care Inc.
We will continue monitoring the client and post more pictures of subsequent treatments. We are excited to present our new success story in the treatment of acne-prone skin! Our client received a course of 8 LHE Acne Clearance treatments with added Extraction treatments, and a Home Care regimen of Lege Artis skin care products. Below are B&A photos of our client at base line and at the follow-up visit 4 months after the last LHE session. Click photos to enlarge. As usual, we would like to express our appreciation for all clients, who kindly gave us their permission to use their before-and after photos. Lege Artis is proud to announce availability of our own brand of Body Soaps. We invite you to visit our clinic to find your favourite. Photo: Ylang-Ylang Goat Milk Body Soap. (c) Lege Artis. Ecology and Sustainability. Lege Artis Body Soaps represent our wish for environmentally-friendly and biodegradable bath and body products, made with food grade plant derived oils that are farmed and from sustainable growers. Purity. We strive to achieve the purest formulations without adding artificial fragrances, colorants, detergents and preservatives. Function. We look for the ingredients that can add a tangible value to as seemingly simple product as a body soap. Our choices are based on extensive scientific data showing beneficial effects of natural ingredients such as pure therapeutic-grade essential oils, natural clays, vitamins as well as natural oils and butters. 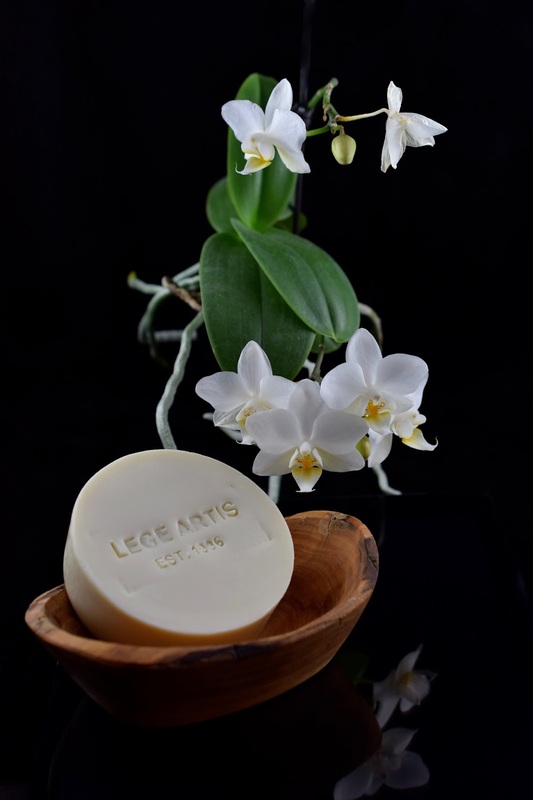 Lege Artis soaps are designed and fresh handcrafted in Downtown Toronto, Canada in small batches and currently available only at our clinic. Happy Holidays to you all from Lege Artis Team! The information contained in this website is being provided for general information purposes only and is not meant to substitute in any way whatsoever for advice, medical care or treatment from a medical professional. Individual results may vary. This web site has been prepared with great care. However, Lege Artis is not liable for correctness and/or completeness of the contents herein. (c) 2014 Lege Artis Skin Care Inc. Simple theme. Powered by Blogger.